The Dry Packs Universal Handgun Bag was designed to protect handguns from corrosion and general contamination. Depending on a firearm's overall height, optics may remain mounted. As always, optics should be stored with caps on. These Universal Handgun Bags are one of the most convenient methods of storage and preservation solutions for firearms. Zipper Series firearm storage bags work well for firearms that are rarely or even frequently used due to the easy closure system. Depending on use, firearms can be stored rust free for 5+ years. To use a zipper series firearm bag effectively first clean your firearm, as recommended by the manufacturer, and slide it into the bag. Next simply press the heavy duty zipper closure shut. To remove the firearm simply open the zipper closure and remove your firearm. 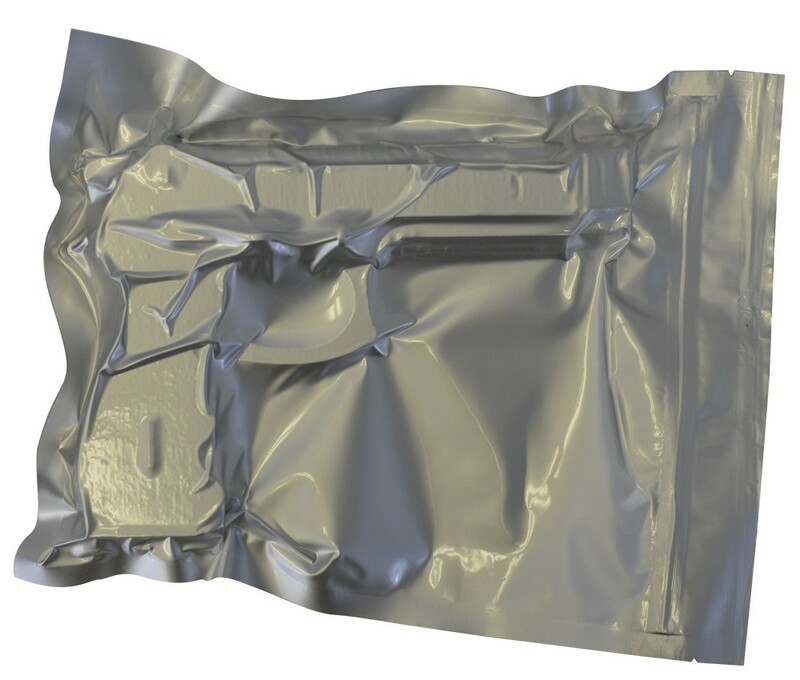 This bag can be vacuum sealed with industrial vacuum seal machine or use Oxy-Sorb Oxygen Absorbers inside bag to absorb oxygen and fight corrosion. Sold Individually. Gun not included.